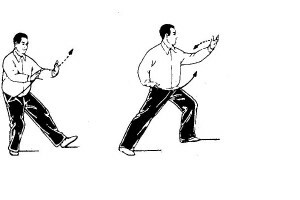 The Ideogram for Tai Chi and the True Hidden Meaning of the Characters. This is the first of a 2 part series of basic guidelines to avoid being scammed. Part 2 will be on what to look for in your Qigong and Tai Chi Master. Caveat emptor is a Latin term that means “let the buyer beware.” As Tai Chi and Qigong become more popular, the public needs to become more aware of who is teaching what. Here is a list of what to avoid. 1.) They will offer weekend Teacher Training or Practice Leader Certificates with little training. Purpose is to stroke the ego of the student and create the cheerleader effect. 3.) Rules will be seen as “Limitations”. Purpose is to avoid authentication of practice. 4.) New Age Buzz words used frequently, like Tao, Qi, Energy and Spirituality. Purpose is to create a shared value of the “Spiritual Seeker” and activate the “Bandwagon Effect”. 5.) The Master will have no verifiable lineage or training. The Master will claim vast experience from unrelated disciplines like Yoga, Reiki, Buddhism or Spiritual Traditions. Purpose is to create a shared value of the “Spiritual Seeker” and activate the “null hypothesis” of no difference among groups. 7.) The Master will promote their book or dvd with praise from self help gurus unrelated to Qigong or Tai Chi. Purpose is to create a position of authority and an appeal of popularity under the bandwagon effect. 8.) Established Qigong and Tai Chi Classic Principles will be rejected with claims of new and modern methods being superior. Purpose is to avoid accountability and authentication of training method. Creates a self proclaimed exclusive authority that cannot be verified. This entry was posted in Uncategorized and tagged Chi Kung, Master, Qigong, Qigong Master, Tai Chi, Tai Chi Master, Taiji. Bookmark the permalink.